Shredded Beef with Cumin and Cilantro (low-amine, gluten-free, soy-free, dairy-free, nut-free, nightshade-free, paleo, shellfish-free, low-carb). I require a lot of protein to make it through my days because I’m pretty active. This low-amine shredded beef recipe is easy and very satisfying. The flavors meld together in a slightly Mexican / Indian direction. I did not make the low-amine shredded beef spicy at all out of courtesy to my Sugar (he doesn’t do face-meltingly, mind-numbing spicy foods like I do), but if you can handle the heat, this recipe is just BEGGING to be spicy. For fully gluten-free, use gluten-free bread, gluten-free tortillas, or lettuce or cabbage wraps. Habanero, Cayenne, or Jalapeno, if you can take the heat. To taste. If beef roast has kitchen twine around it, remove and discard twine. In a large stock pot, add all ingredients except cilantro. 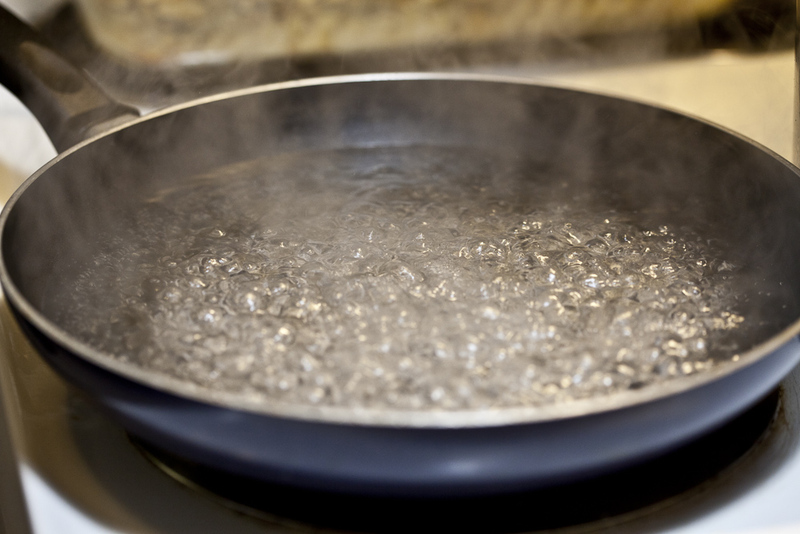 Turn temperature to medium high and once to temperature, reduce to a simmer. Remove low-amine beef and set on large cutting board. Using two forks, shred beef. Set aside in a large bowl. Use an immersion blender (or food processor, in batches) to blend onions, parsley, and remaining low-amine stock pot ingredients. Blend until very smooth. 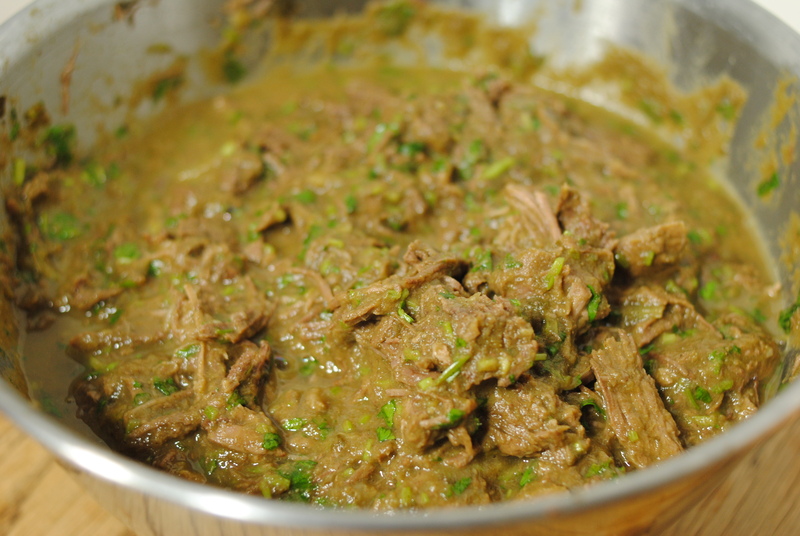 Add cilantro to beef, and add in puree one spoonful at a time until desired consistency is reached. 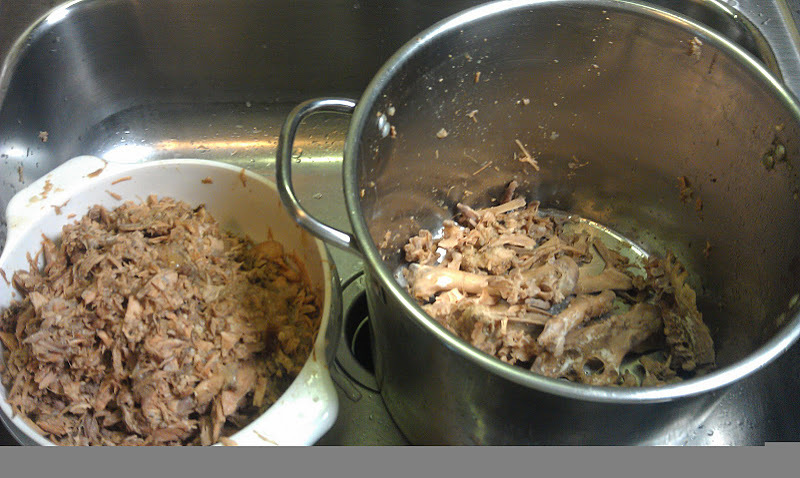 Any left over can be saved for cooking with beans, as the base of a low-amine soup, served over rice, or more. 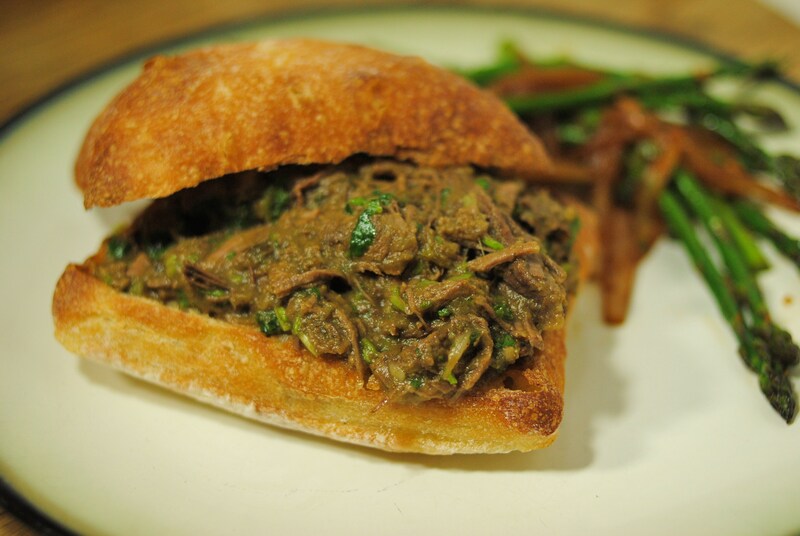 Mix beef, puree, and cilantro together well and serve on toasted Ciabatta rolls, gluten-free hamburger buns, lettuce wraps, over rice, or however desired. 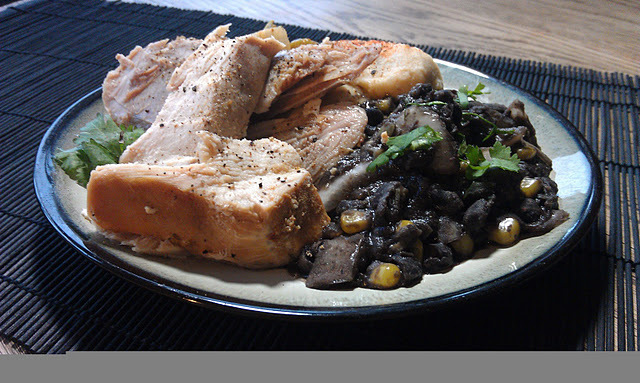 For my low amine Cajun Thanksgiving feast, I made low amine Cajun black beans. They’re fairly simple, and I was able to make them the night before, just leaving the final cooking step till Thanksgiving day. It was a nice high-protein addition to what is normally a very carb-heavy meal. Sort through beans and remove any debris and bad beans. Add beans, water, half the onion, vegetable bouillon, oil, Cajun seasoning, garlic powder, and chilies. Cook for about three hours over medium heat, or until beans are done. Reduce heat to low. Remove about 1 C cooked black beans and mash into a paste. Add back into the pot. 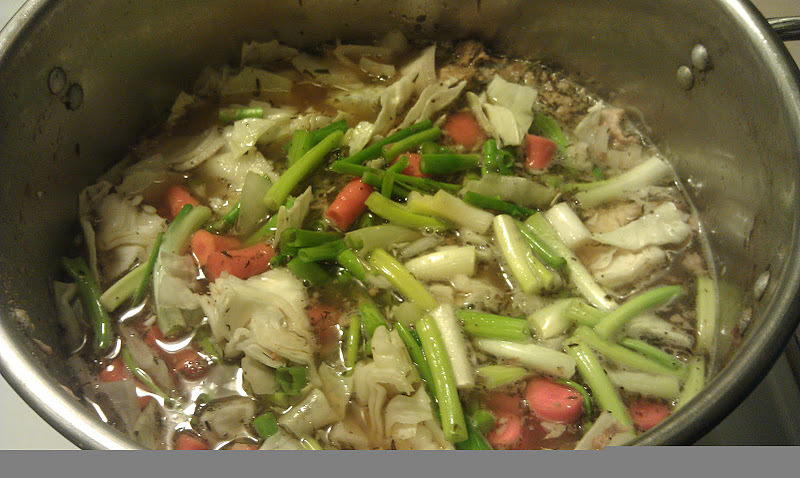 Mix well and cook down until the liquid is fairly reduced (it should end up like a thick soup or wet porridge). Be careful to stir often and keep temperature low so that the beans don’t burn. Add corn, the rest of the onion, and cilantro. Turn up heat to medium. Cook for about 5 minutes, stirring constantly. 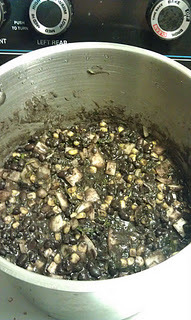 Keep Cajun black beans warm in the pot until serving. 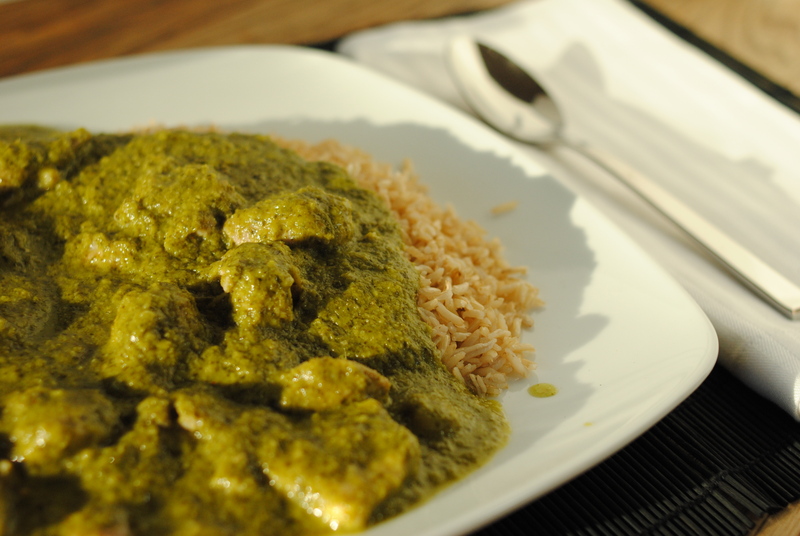 Garnish with thinly sliced cilantro leaves, if serving plated (rather than at the table). 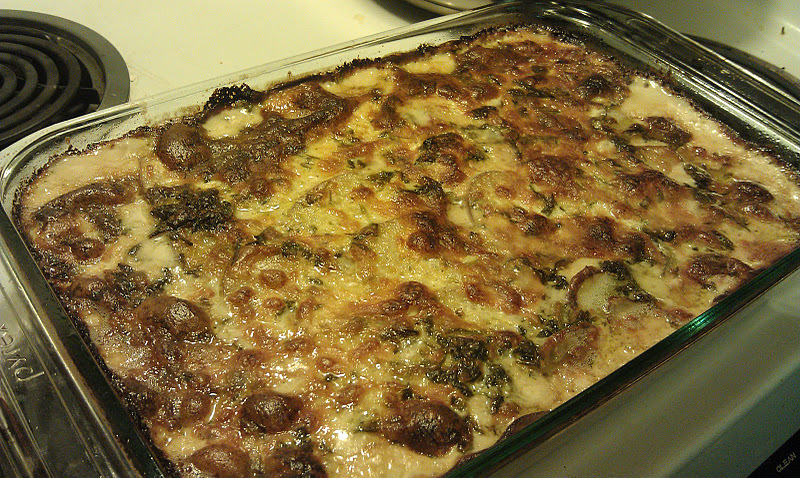 I have wanted to do an au gratin since… well, forever. But I haven’t before. Also, I’ve wanted to try using celery root (celeriac) for a long time, but never have. Sounds like a good time to try both! This recipe is sourced from Epicurious, but I tweaked it to make it more friendly to amine allergy sufferers. 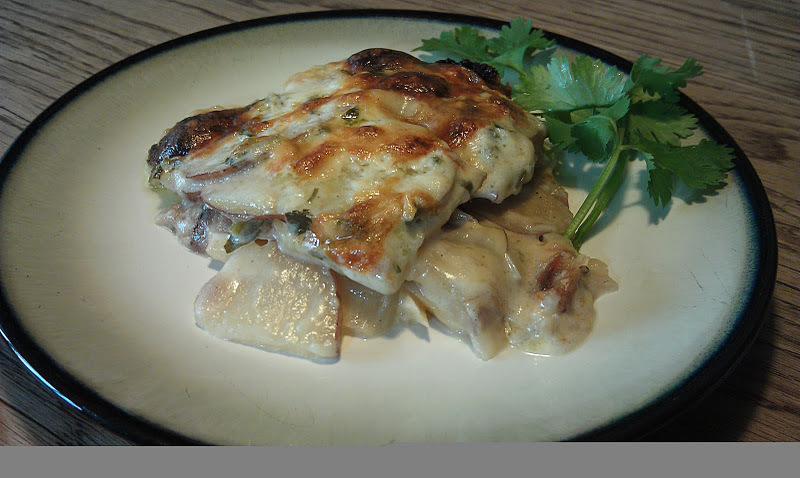 Most au gratin recipes I have seen called for cheddar cheese, which is high in amines. I did mine with Mozzarella (which is low amine), and didn’t miss the cheddar even a little bit. Use a Cuisinart or mandolin if possible to get even slices. It will save you a TON of time, too. Slice onions in half along the root and end, then slice again to make thin half-circles. Throw the onions and garlic in a medium-high a pan with the canola oil. 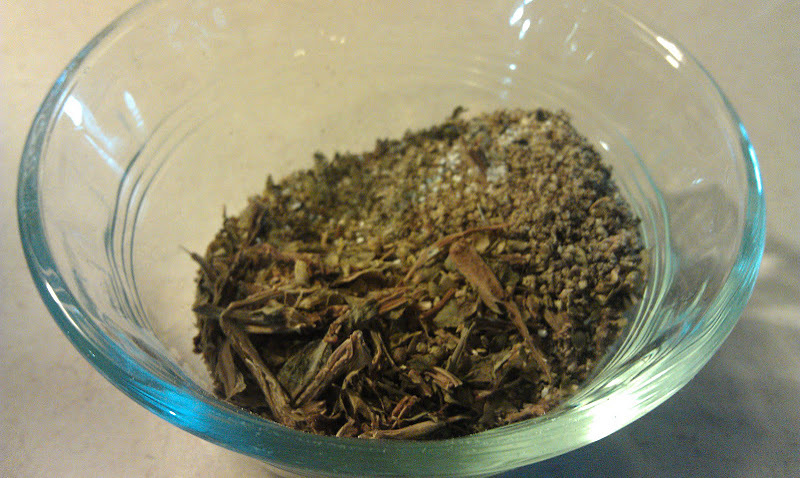 Toss/stir as necessary until opaque and beginning to brown. I let mine char just a little bit to give it a bit of flavor. Keep them in the pan for now, but remove from heat. Slice all potatoes and set aside. Slice all celery root and set aside. 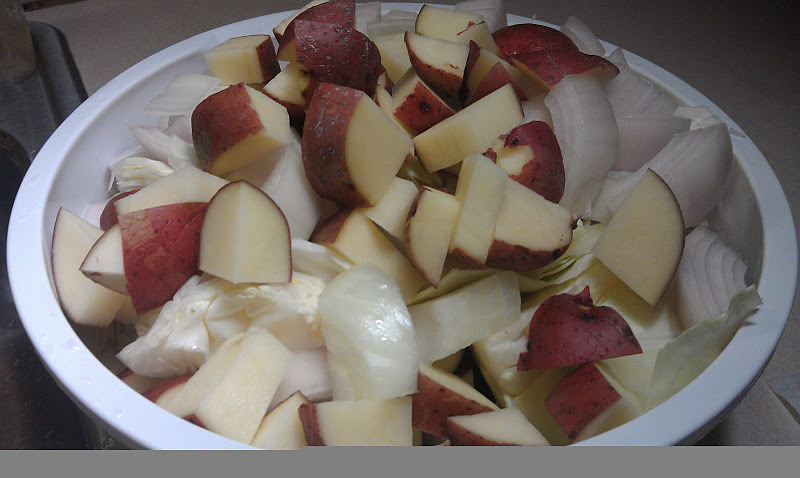 In a large Pyrex pan, lay down your slices of potato in a single layer, followed by a layer of onion. Add a layer of celery root. Add another layer of onion (this should use all your onion up, but do not wash the pan), followed by a final layer of potato. In your onion pan, melt butter on low and add flour. Stir constantly for about 3-5 minutes. A little bit at a time, add your cream to the pan. Stir constantly. You want it to slowly blend together so that there are no clumps of flour in the sauce. Once it has thinned appropriately, add milk and bring up to temp. Stir, stir, stir. Add chopped parsley, salt, and pepper. Slowly mix in grated cheese while stirring, ensuring it is melting into the sauce. Once all the cheese is melted in, pour sauce over the ingredients in the Pyrex pan. 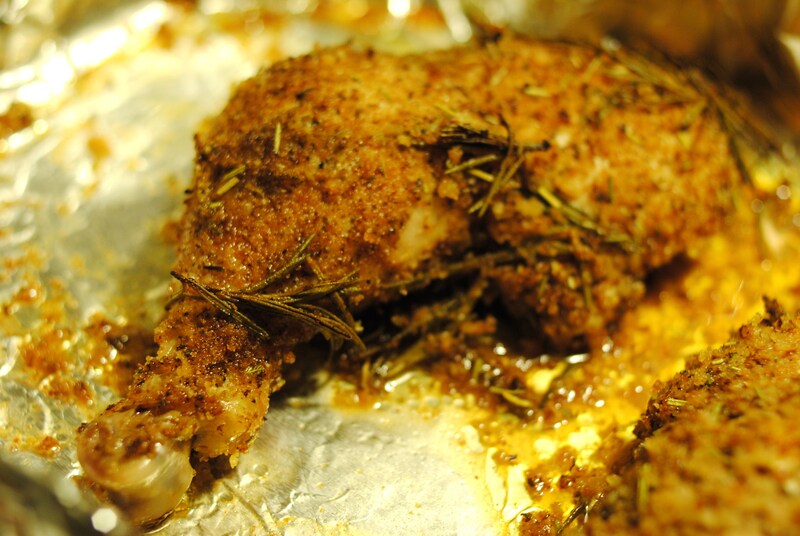 Cover with foil and bake for 1/2 hour, then uncover and bake for 1/2 hour (total time: 1 hr). Allow to cook for 5-7 minutes while cheese sets. 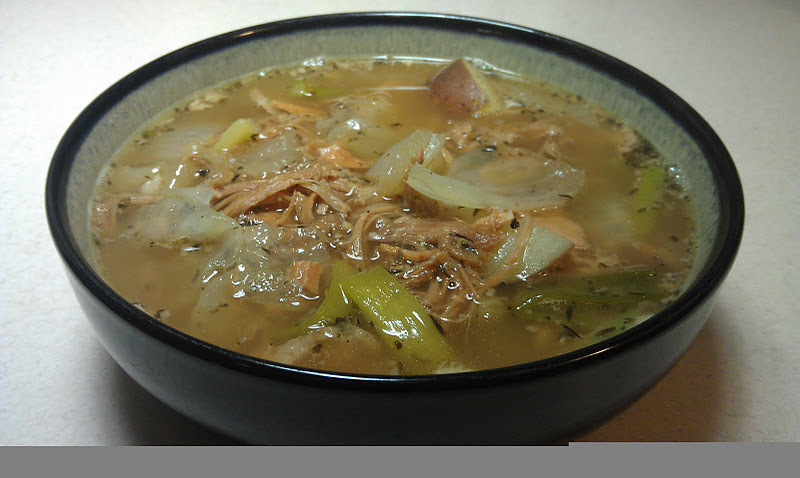 It’s fall, and time to celebrate soups! Celery root (celeriac) is in season in the fall, and if you haven’t used it yet, you really ought to give it a try. It’s an ingredient with substantial body, and a mellow, celery flavor. This low amine soup recipe is a sure crowd pleaser. 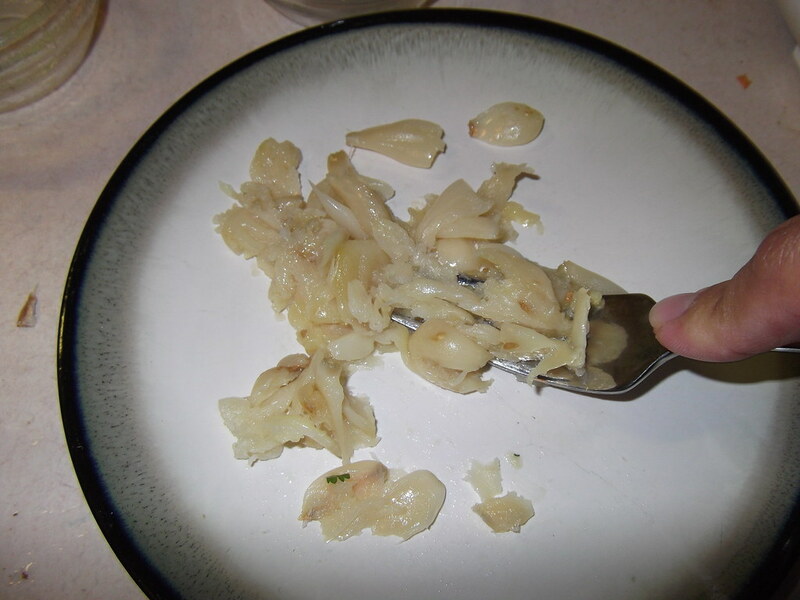 Peel celery root and slice into thin pieces about the size of a nickel. 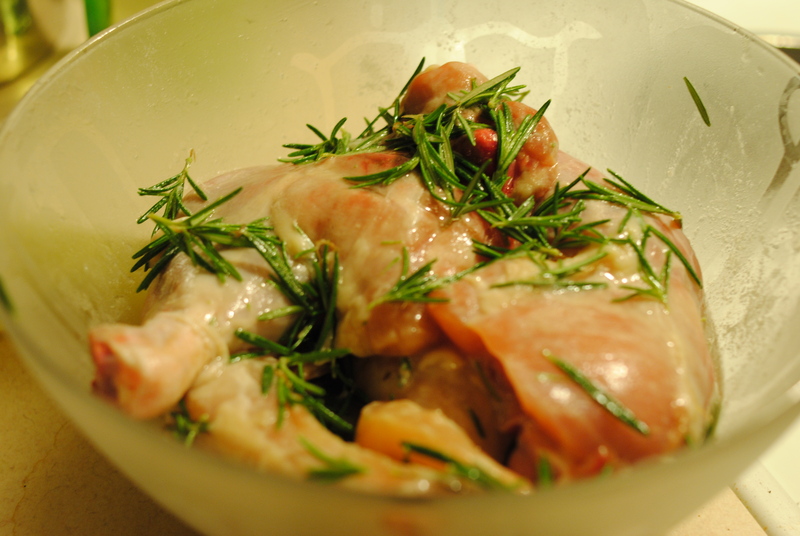 In a large stock pot, add oil and saute chopped onions, garlic, and parsley. Cook for about 5 minutes, stirring frequently. Add all other ingredients except fish. Simmer for 20 minutes. 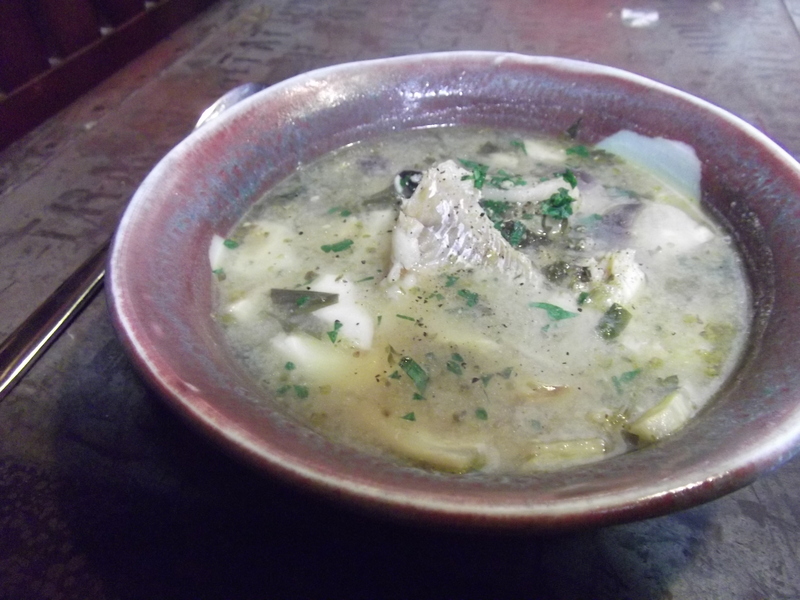 Add fish, cut into a few large pieces. Simmer for 5 minutes. 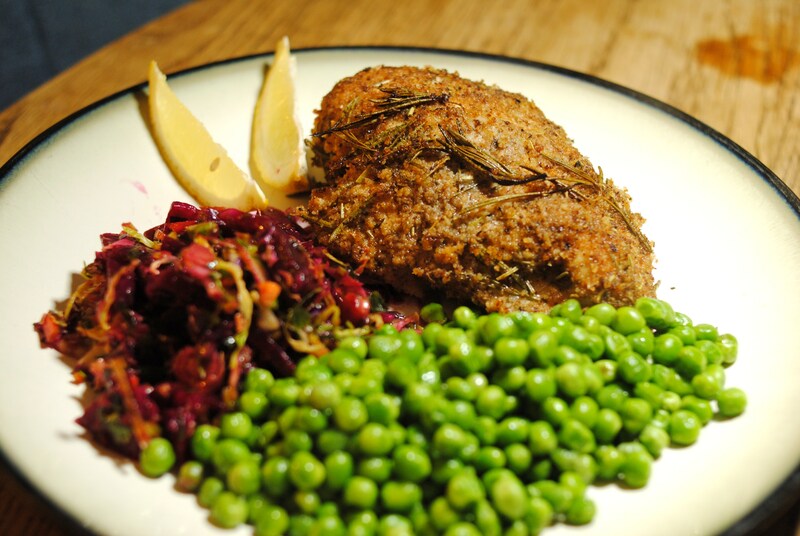 Serve hot, garnished with finely minced parsley. 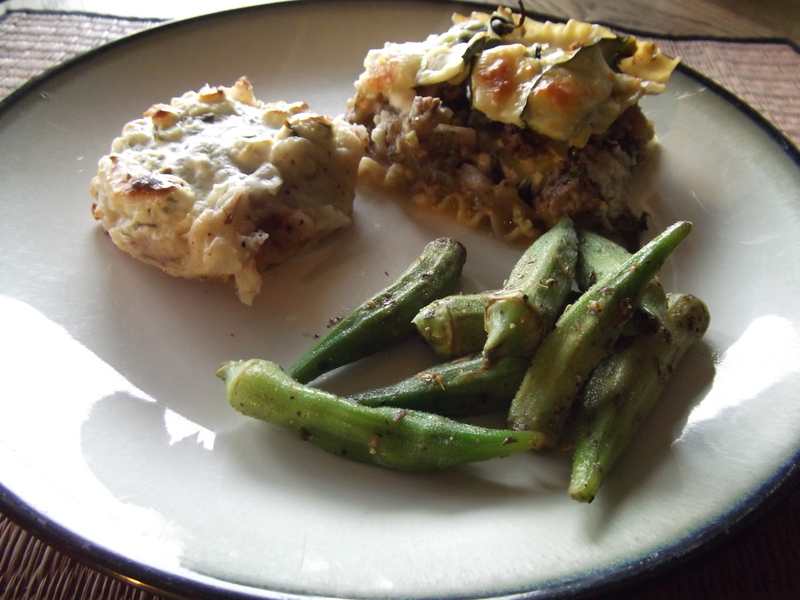 Featured on Gluten Free Homemaker. I find okra to be the best when it’s raw or just barely cooked. To get the best color out of okra, I like to blanch the okra for just one minute. Any more than that, and they start to produce a mucilaginous slime. 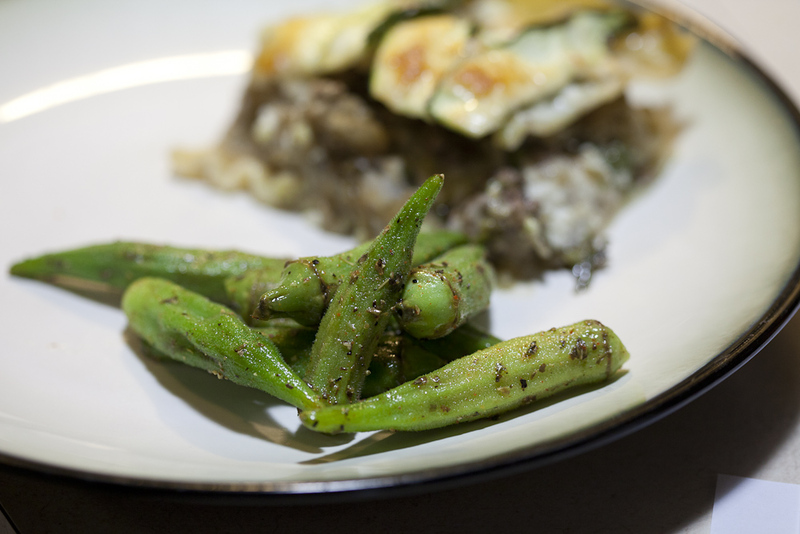 Okra makes a very nice low amine side dish that’s high in nutrients, vitamins, and earthy flavor. Blanched low amine okra with “red wine vinegar.” Served with muffin baked potatoes and herb cream cheese, and a slice of my no-tomato low-amine lasagna. 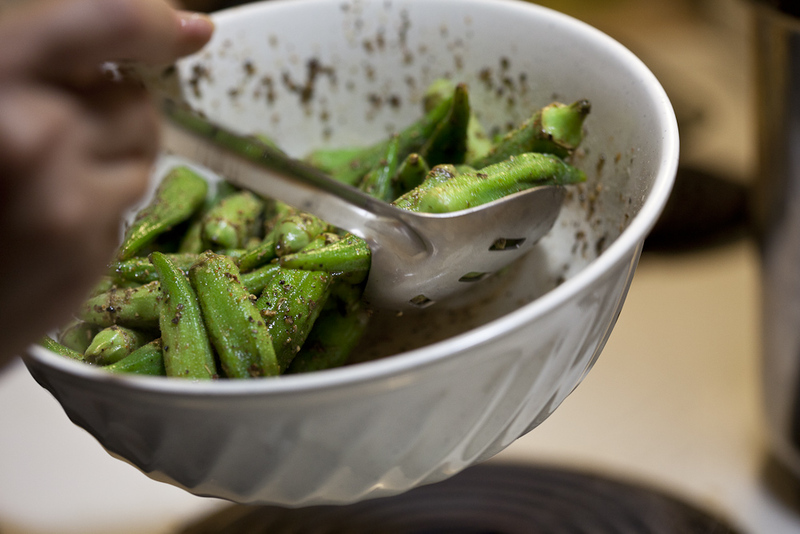 Except for the okra, mix all ingredients together in a bowl large enough to toss the okra. Gently wash okra in cold water. Using a deep, large frying pan, fill it with enough water in it to allow all okra to float at the surface. Bring to a boil. Add okra. Boil for about one minutes, or until okra starts to take on a brighter green hue. Immediately pull off heat and drain in a colander. Run cold water over it until they have cooled completely. This helps prevent the okra from getting slimy. Transfer okra to bowl with sauce and toss together gently. I love salmon and tuna… but since I can’t eat them anymore due to their high amine content, I’ve switched to highly seasoned low amine fish, like cod. 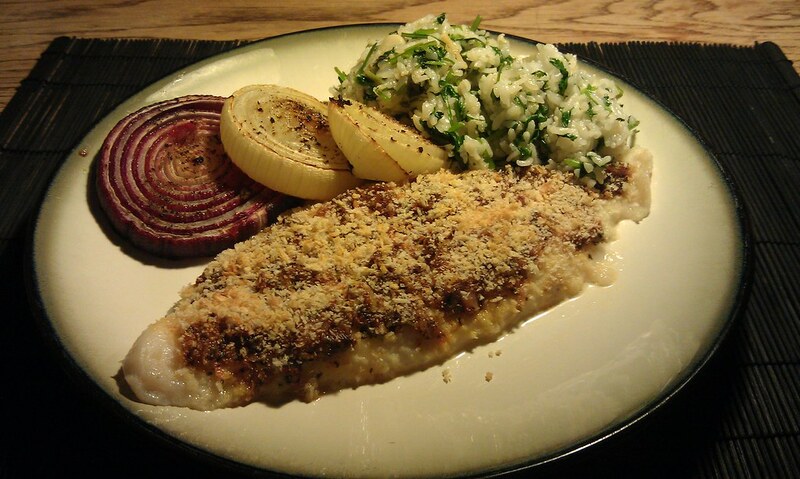 Low amine fish can be delicious – it just tends to require more spices. Zest lime, and cut reserved lime into wedges. 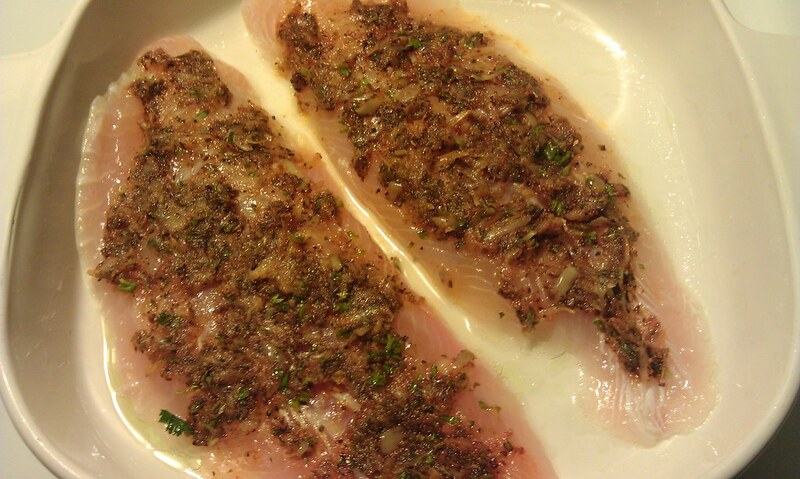 Rub 1/2 tsp oil on fish. Lightly grease a baking dish large enough for fillets. 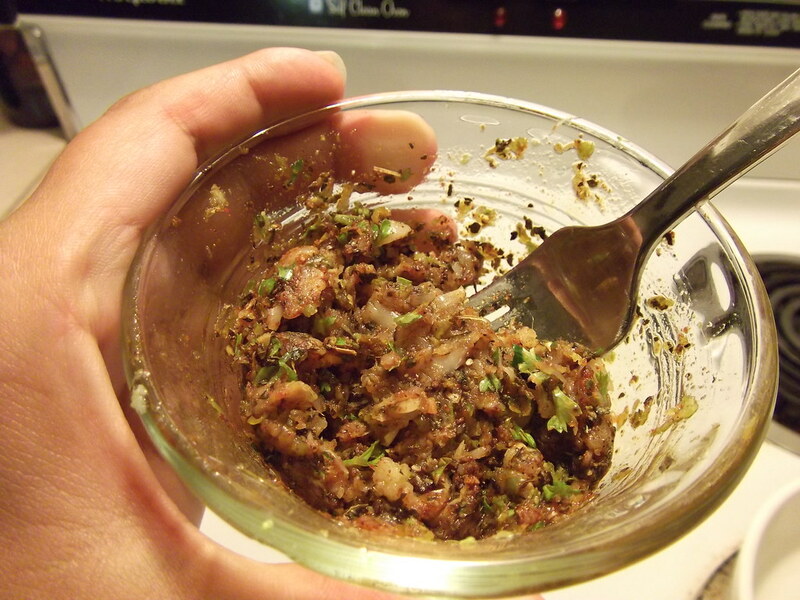 Mix all spice mix ingredients together and coat fish. 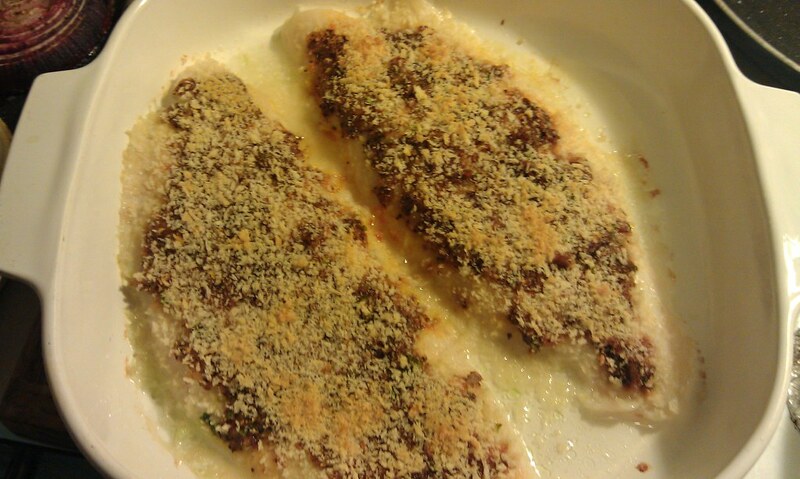 Sprinkle Panko over the top of the cod fillets. 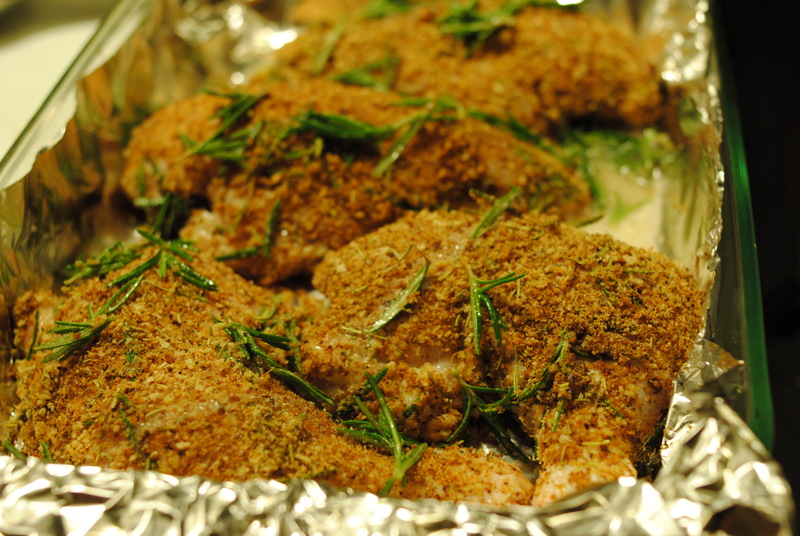 Bake 10 minutes, or until cod flakes easily when tested with a fork. I went camping this last weekend and brought fish to cook and nectarines to eat. But I didn’t end up getting to either. 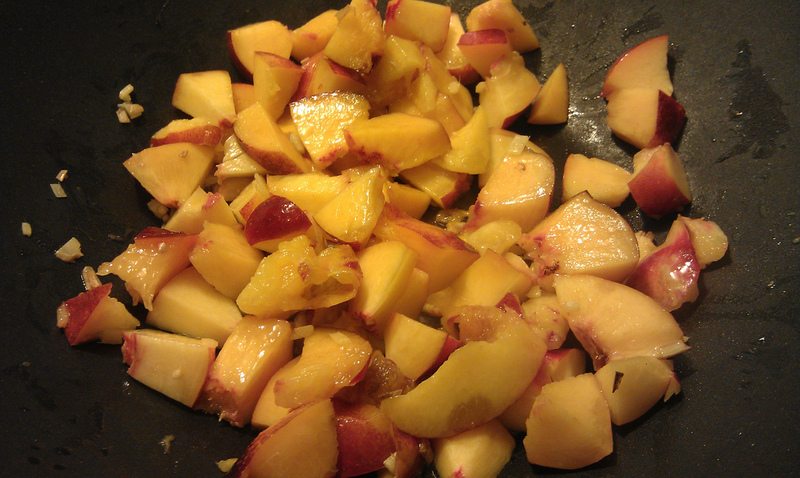 The prospect of salmonella with my nectarines sounded a little less than appetizing, so I decided to cook them into a nectarine and rice dish. But quinoa was already in the fridge. I roll with the punches. Let’s do this. Nectarine Ginger Quinoa, why not? Glad I did – it was delicious! 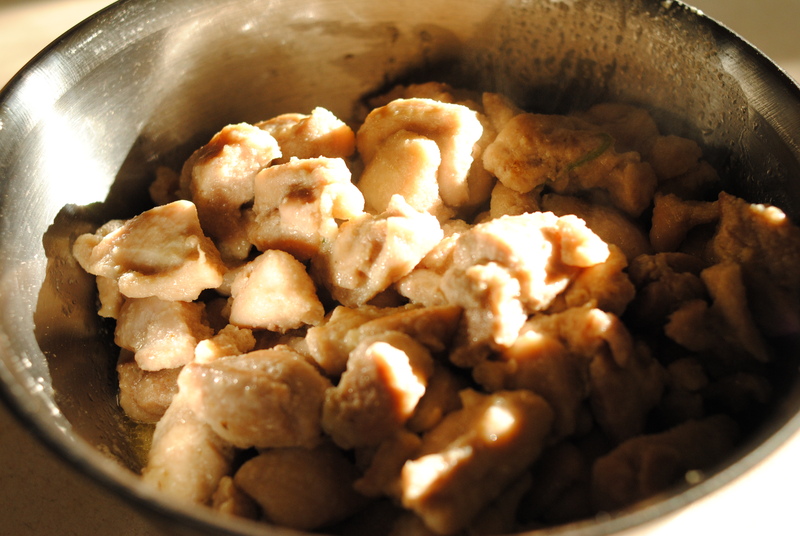 Turn burner to low/medium and add oil and minced ginger. Saute until fragrant, about two minutes. Add nectarines and cayenne pepper and gently cook (you don’t want them to mash into nectarine slop) for about 5 minutes on medium low heat. Add lime juice and quinoa. Stir together and cook. I turn up the heat a little bit and let it blacken some bits of the nectarine and quinoa, but that is a personal preference. It isn’t necessary. 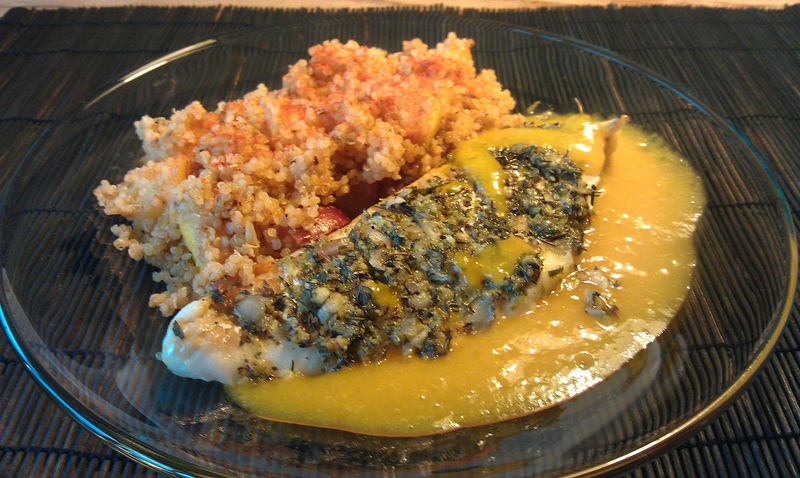 Cook for 3-5 minutes, or until quinoa is hot all the way through.